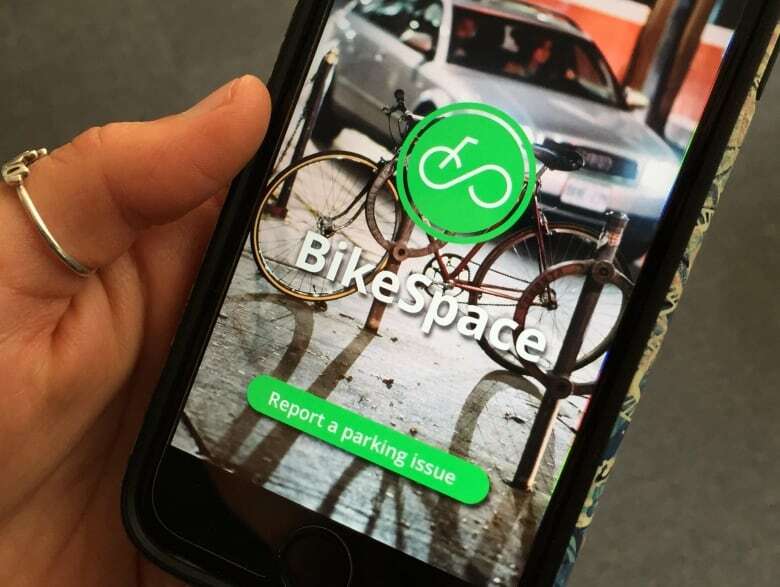 The city of Toronto partnered with Civic Tech Toronto to create the app BikeSpace TO, that takes reports of bike parking issues and creates a map so the city and businesses can see where to fix problems with bike parking. When Betty Lowe goes shopping in downtown Toronto, the availability of bike parking often dictates where she'll end up. "If I can't find parking, then I just keep pedalling and go someplace else because I don't want to put it someplace where it's going to be compromised," said Lowe. She spoke to CBC Toronto just as she snagged the only remaining bike parking spot outside her grocery store. "So I end up not shopping where I want to shop because I can't find parking for my bike." It's an all-too common problem for cyclists in Toronto, who often have to use trees, sign posts, pipes, or even other bikes to lock up. And parking bikes where they can't be fully secured can often lead to theft. According to data from Toronto police, there was a 26 per cent increase in bike thefts between 2014 and 2016. To tackle the issue, the city of Toronto has partnered with an organization called Civic Tech Toronto and Code for Canada to create an app that launched this week. Bike Space TO is a crowd-sourced map where users can report problems with bike parking, anything from abandoned bikes taking up usable spaces, to rings or racks that are full, to areas where bike parking is totally absent. Users pin the reported issue to an intersection with a photo, and that data is put on a dashboard. "I think the next step is that people with the funds and the power to install bike racks start installing this and taking it seriously," said Jake Miller, the product manager for the app with Civic Tech Toronto. The city will be using the app to pinpoint hot spots for bike parking issues, and to see which areas they should tackle first, according to the city's cycling infrastructure manager Shawn Dillon. "I think it's been an issue not just for ourselves but for other establishments to not necessarily know where there's a high demand for bike parking," said Dillon. "So, we want to make sure we have high quality parking facilities in places where people need them." Miller is hoping the city and private businesses will use the app to see where bike parking needs to be fixed. "Toronto has a ways to go to become a completely bike friendly city, but I see bike parking as that pioneer plant of infrastructure," said Miller. "Once you have adequate bike parking where people feel safe locking their bikes, where they know that their bike will be there when they come back, they feel a lot more comfortable biking to those locations." Local businesses seem willing to cater to the cycling population, according to Miller. His role as product manager involved liaising between cyclists, businesses and city stakeholders. "Increasingly, people buy their groceries on their bikes, and bike home with them," he said. "So I really think that businesses are very enlightened about this and see it as a real net gain for them." So far, the app has only a couple of dozen reports on the dashboard, but Miller said that's largely because all reports must be vetted by the volunteer staff. Each report needs to be looked over to ensure there is nothing inappropriate in the comments or photos, no spam, and most importantly, that the reports are actually in Toronto. According to Miller, the team has received nearly 100 reports since the app launched early this week. 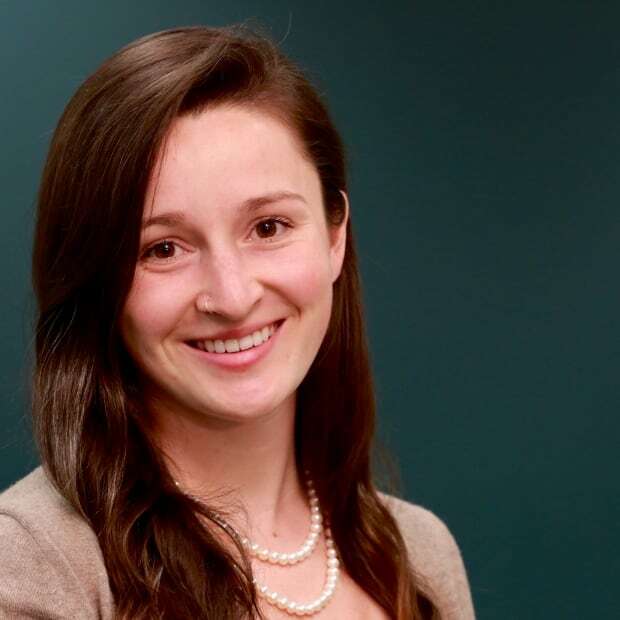 "As we get more and more people choosing to use bicycles for recreation or transportation, the need for high quality parking for bicycles becomes more and more important," said Dillon. For Lowe, finding secure bike parking has been a struggle in the city, especially in the Kensington Market area, but she sees hope for the future. "Sometimes it's really difficult, but it's getting better," she said. "It used to be terrible to try to find parking for your bike."